Consider the epic adventure and unforgettable memories that await the brave warrior who dons the Childs King Gorget. Perhaps the young role-player may choose to conquer another kingdom, or join the ranks of the Knights Templar. 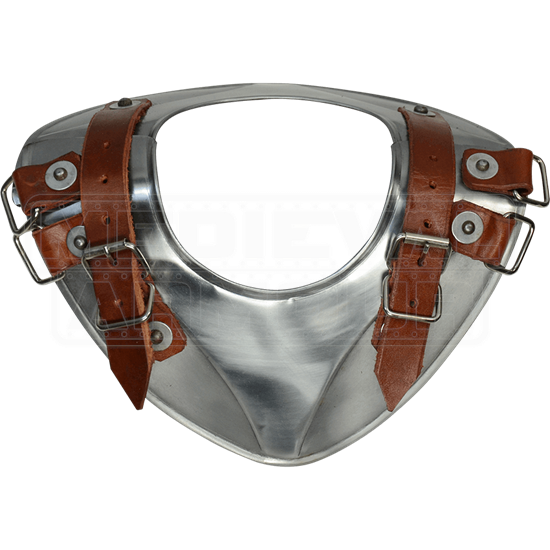 Crafted from 18-gauge mild steel, the gorget fits around the lower neck. 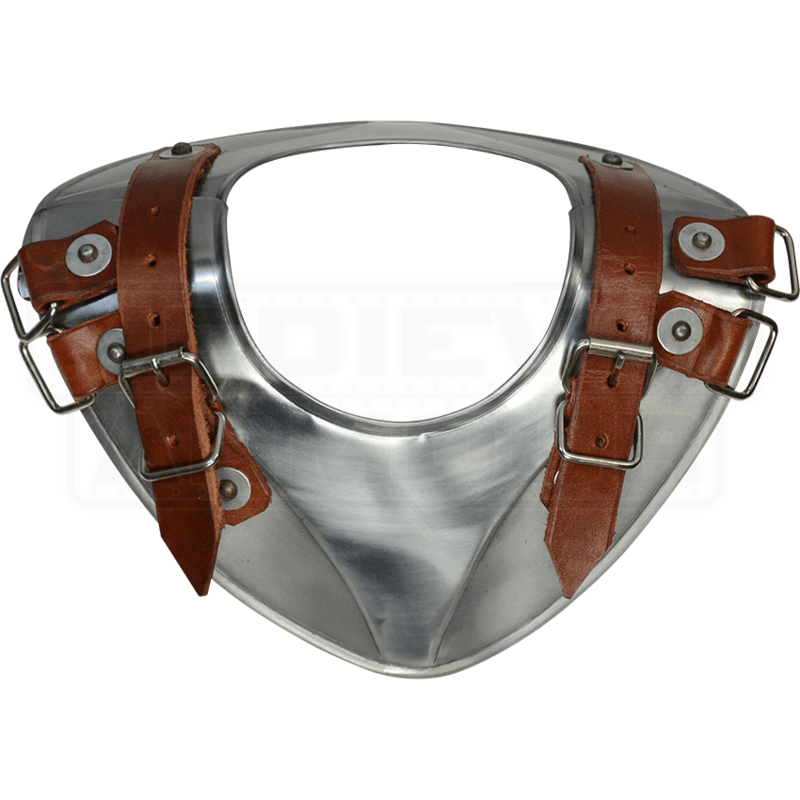 It easily secures to a cuirass and other attachments via two adjustable buckle straps and two pairs of D-rings. The acid grey finish and a sculpted, raised accent on the front neck plate attract the eyes. Rolled edges and rivets increase the steel collars deflection capability. Combining the Childs King Gorget with the Ready for Battle Padded Mantle is recommended for maximum comfort and protection.